Another small step in the journey. 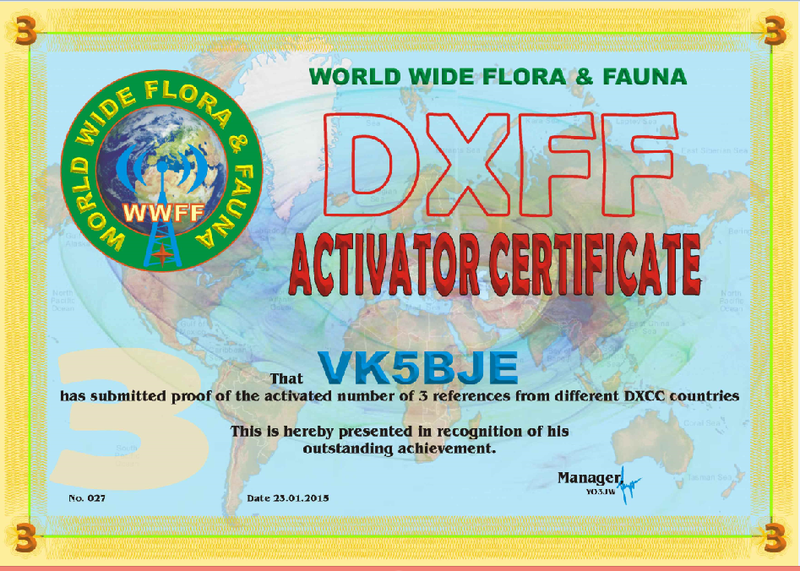 This certificate, which arrived in January 2015, recognises that I have activated three DXCC entities. 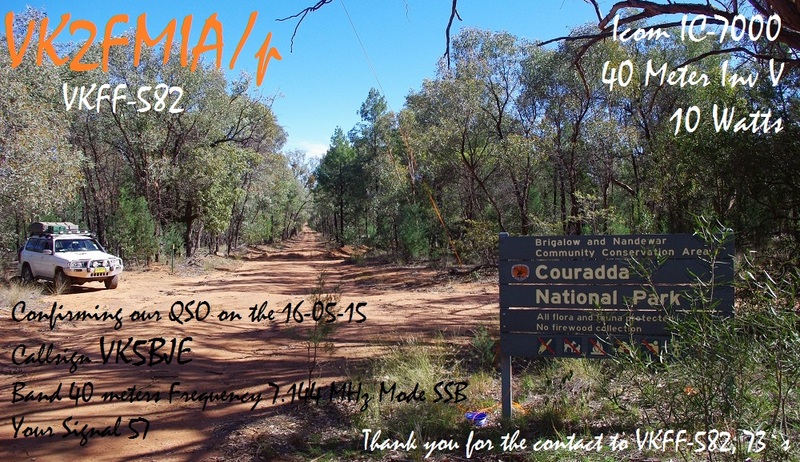 I had another contact with Doug, VK2FMIA, on the 16th May, from Couradda National Park. Thanks Doug for the splendid card. On Sunday morning VK5PAS, Paul and I met Andrew, VK1NAM, who had arranged on Saturday afternoon at the WIA AGM, to take us out for more SOTA activations if the weather was reasonable. Well the weather was wet on Saturday evening and the weather bureau predicted strong winds and more rain for Sunday. Paul and Andrew had discussed the matter earlier and we agreed we would all go and take one peak at a time and stop the activations if it became necessary. 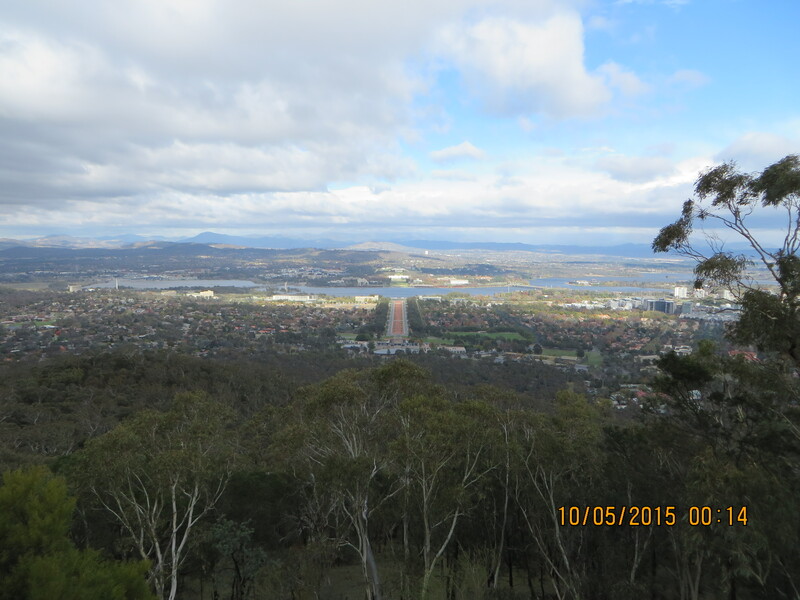 So we set out for Mt Ainslee, VK1/AC-040. 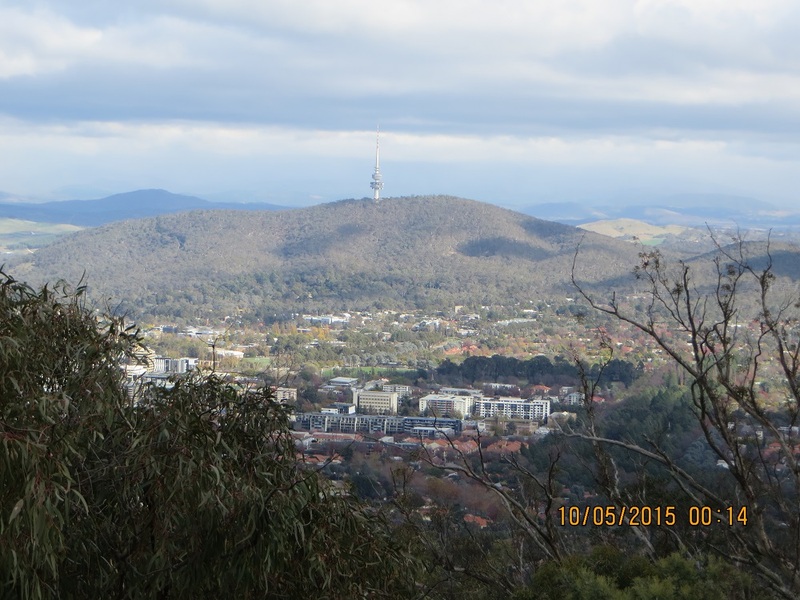 This peak is right in Canberra and accrues one point for a successful activation. The winds were gale force. However, we successfully activated the Peak and took some photos before setting out for Black Mountain, VK1/AC-042, just a short drive away. Eleven contacts were made. 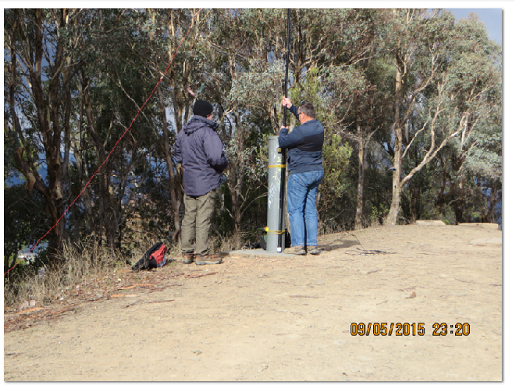 When the activation was finished we set out for Black Mountain, VK1/AC-042. I would like to thank VK1NAM, Andrew, who so generously gave up a fair bit of his Sunday to enable me, Paul and Heath to enjoy these activations. The activations on Thursday and Sunday enriched an already splendid weekend at the WIA AGM. 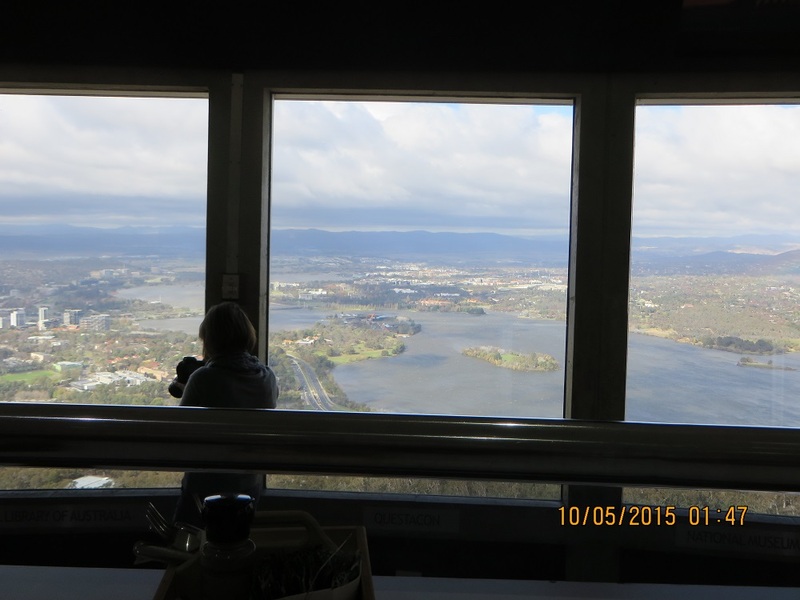 On Sunday evening we enjoyed a casual meal with members of the Canberra Amateur Radio Club. I also enjoyed the presentation of home brewed equipment from members of the Club which was on display during the AGM. This display was orientated to low frequency transmitters and audio equipment. The gear was impressive and mainly illustrated published articles from Amateur Radio Magazine. Finally, of course there are the chasers. Without chasers we would have become cold and wet for nothing! After lunch we travelled to Mt Ginini. While the sun was still shining the temperature had dropped to 4 degrees Celsius and the wind was blowing really hard. It was also very cold! We all activated the summit successfully and I secured ten contacts. 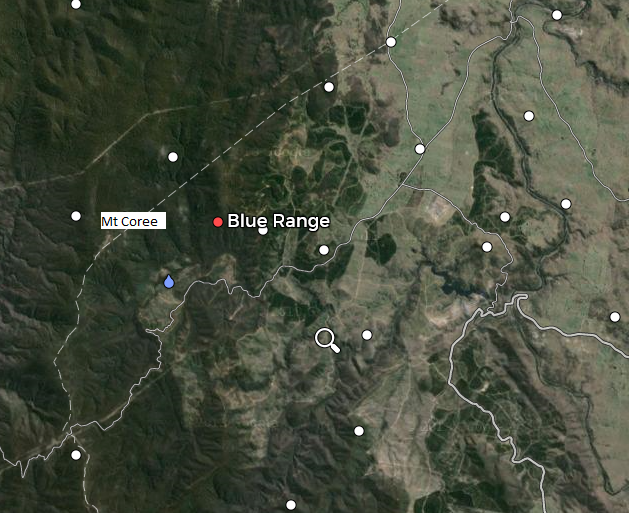 Mt Ginini, like Mt Coree is in Namadgi National Park, VKFF-377 and these ten contacts together with the 15 from Mount Coree means I have successfully activated the Park for the VKFF program. By the time we had finished our activation the temperature had dropped to two degrees Celsius. It was very cold and the wind chill factor was severe. I thought it was going to snow. Mt Ginini has been a place I have long wanted to see. 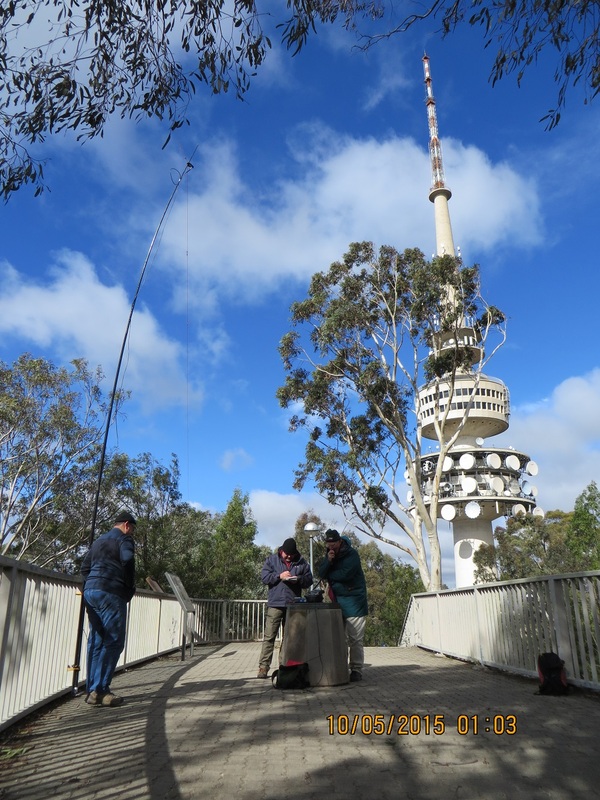 It is, of course, the site of the ACT repeater, VK1RGI, 149.950 – 600Khz transmit, also 91.5 Hz tone, provided by the Canberra Amateur Radio Club: a repeater I have used on previous visits to the ACT and while in New South Wales. But Mt Ginini is also a very significant peak in the Brindabella Ranges also known as the Brindabells. Mt Ginini is 1,762 metres above sea level (5,781 feet). The NSW/ACT border runs along the ridge of the Brindabella Range and the surveyors would have had lots of challenges in their work during the early part of the 20th century. 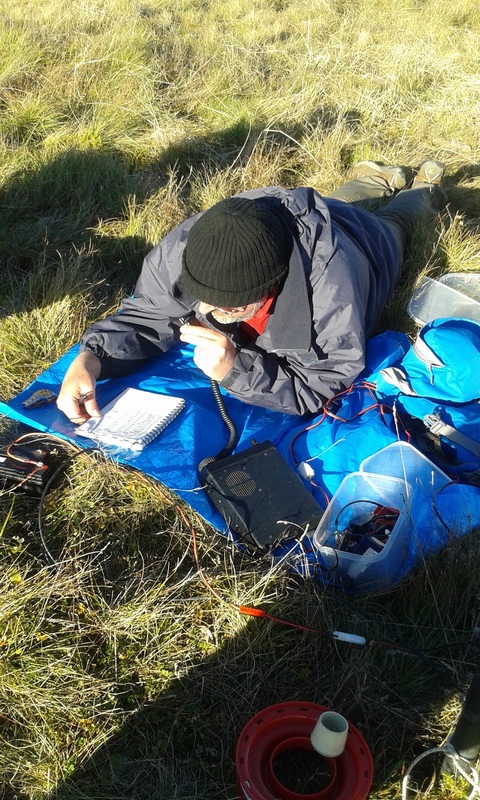 The picture below shows VK5PAS/P1 operating a Icom IC703, ten watt transceiver, contacting European stations from Mt Ginini. He is in a prone position to minimise the cold wind. It is sufficient to repeat that this Park was South Australia’s first and, as you can see from the maps on my blog, it is not far from the Adelaide city business district. 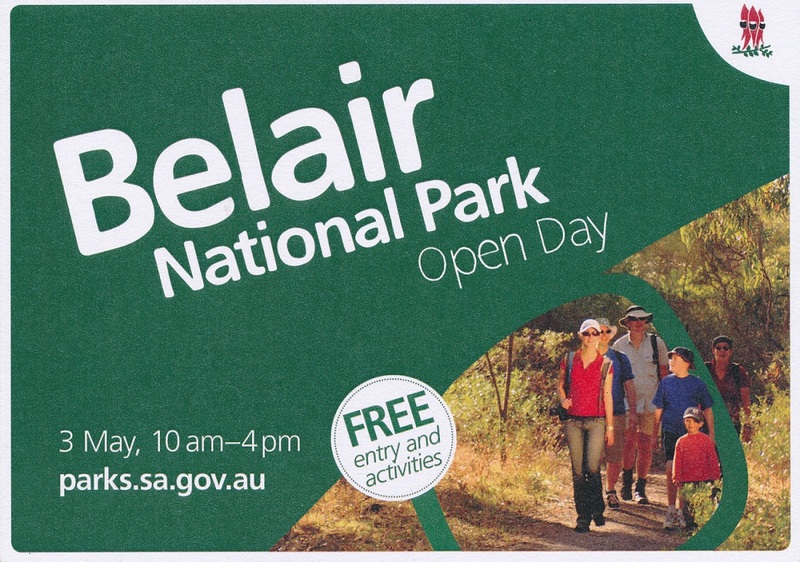 Belair is a gated park: it is open for vehicles from 08:00 to 19:00 hours local. You must pay a fee for you vehicle, but if you walk entry is free. I decided I would activate the Park for Open Day as I thought this would be a great chance to profile our wonderful hobby. I spoke with the Ranger and she knew my plans. I kept away from the popular areas as the noise level was likely to be higher and I didn’t want my signal relayed over the public address systems. I had contacts on 40 and 30 metres, I tried 17 and 10, and although I could hear signals, I didn’t think I could work them. 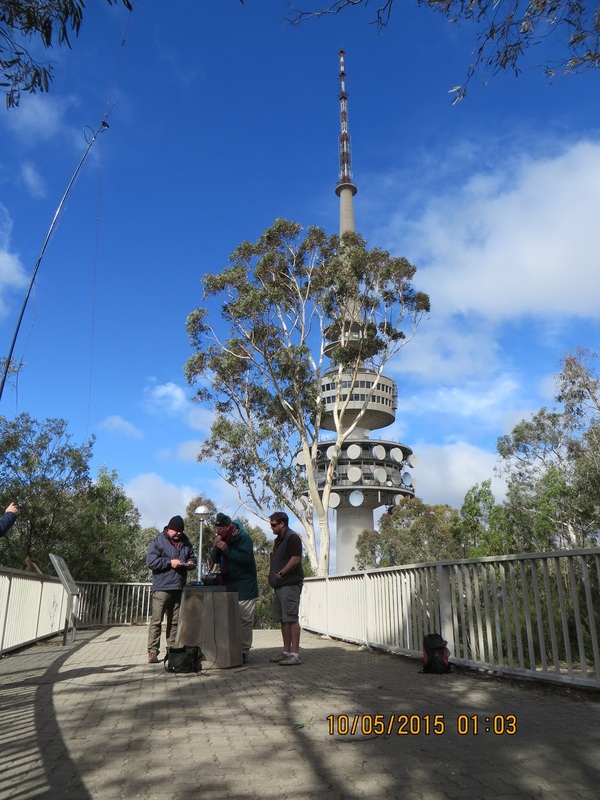 Thirty metres was great with strong signals from interstate, including Mike, VK6MB, from Western Australia. Fifty-nine contacts were made over the activation and as well I conducted some antenna experiments. 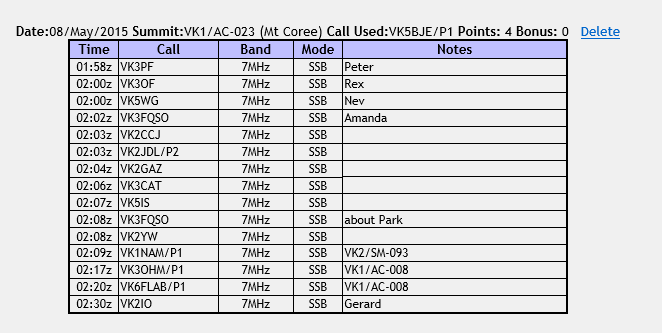 Contacts were had from VKs 1,2,3,5, 6, and 7. I decided to return to Long Gully, my third visit at this picnic area within the Park. I set up in the usual fashion taking advantage of the Park picnic table and my 20 and 40 metre well-used linked dipole. I soon noticed I was getting poor reports and after three contacts decided to change antennas. I am not sure what the problem was. I changed the coaxial feeder to no avail and made sure all of the connectors were tight. I did notice that some connectors do not screw onto the FT897 SO239 socket as well as they should. Perhaps the SO239 is worn? 00:22 VK1DA/P1, s59 r57, Andrew was on VK1/AC- 034. Andrew saw my spot on Parks and Peaks and made a special excursion to 30m to give me a call. This was greatly appreciated. I checked, in order, 17 metres and then 10 metres. I did hear signals but not strong on either band and I did call CQ on each band. I then decided to change antennas and I used my SOTA antenna (20 and 40m), which I have owned for two years, for the first time! 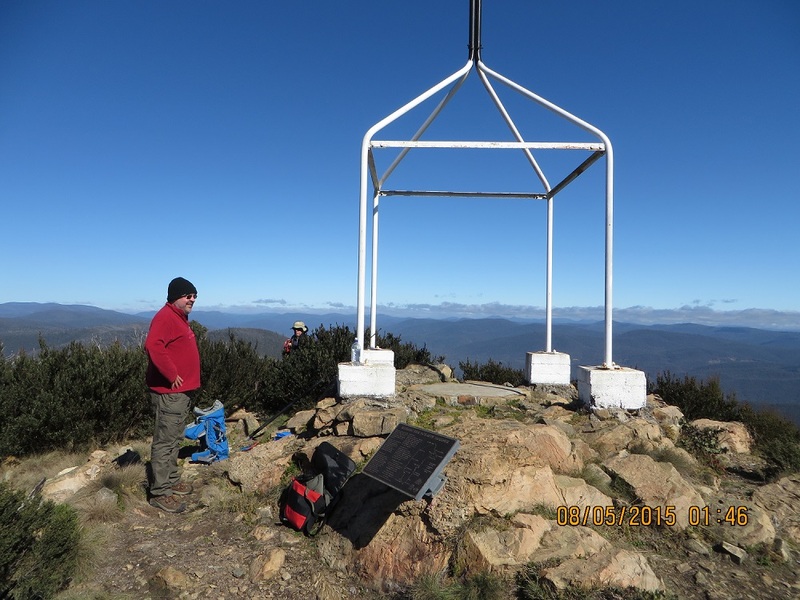 Beginning at 01:31, on 40m, VK5PAS/P, Murray Sunset National Park; VK5LY, Larry; VK5ZAR, Arno; VK5C/P on SOTA summit, VK5/SE-007; VK5PAS/M; VK5NAL; VK3FQSO; VK3OHM; VK5NQP; VK3HSR; VK5FLEX; VK5GT; VK5WG; VK5NAQ; VK5KLV; VK5FTRG/M; VK3TKK; VK100ANZAC from the Mentone RSL; VK5HSX/P5, Stef in Hallett Cove Conservation Park; VK5ZGY/M; VK5FCGM; VK3UP/P3; VK3PMG/P3, Mick in Kara Kara National Park, KFF-629; VK3ATC; VK3CRG; VK3YE/P, Peter at Chelsea Beach; VK5FTVR; VK3SFG/P; VK5KC; VK5VGC; VK5MJ; VK5PAS/P5, Paul in Murray River National Park, VKFF-372; VK5JK; VK5KFB; VK3BWZ; VK3YAR; VK3AWG; VK3MPM; VK5PAS/P5; and finally, to finish a great day, Larry, VK5LY/P in the Murray River National Park, VKFF-372. My original plan was to activate Mark Oliphant Conservation Park VKFF-782 to begin my campaign for 44 contacts. 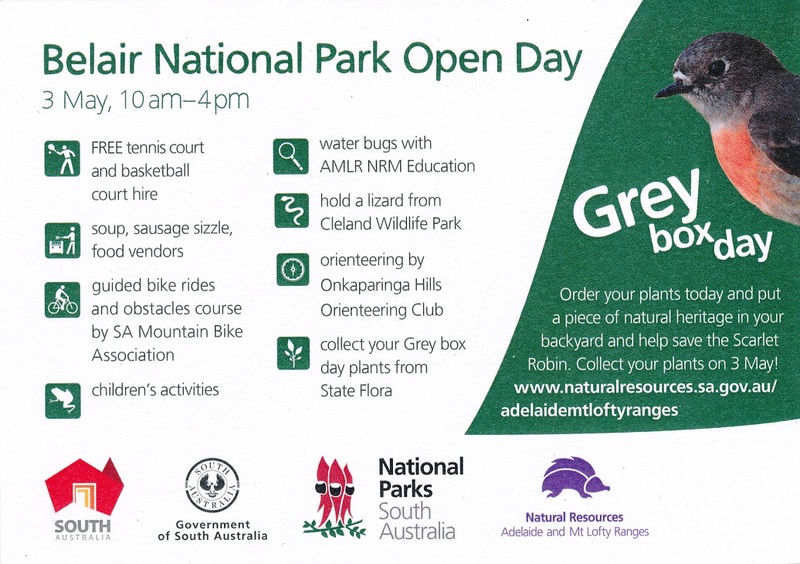 However, upon learning of the Open Day at Belair National Park, I changed my plans. I listened on the frequency I was using to work Larry and then suggested he should remain there. As soon as Larry called CQ he was greeted with a pile up. How great was that! My log has been uploaded to HRD.log and Log Book of the World. Thanks to all who gave me a call.